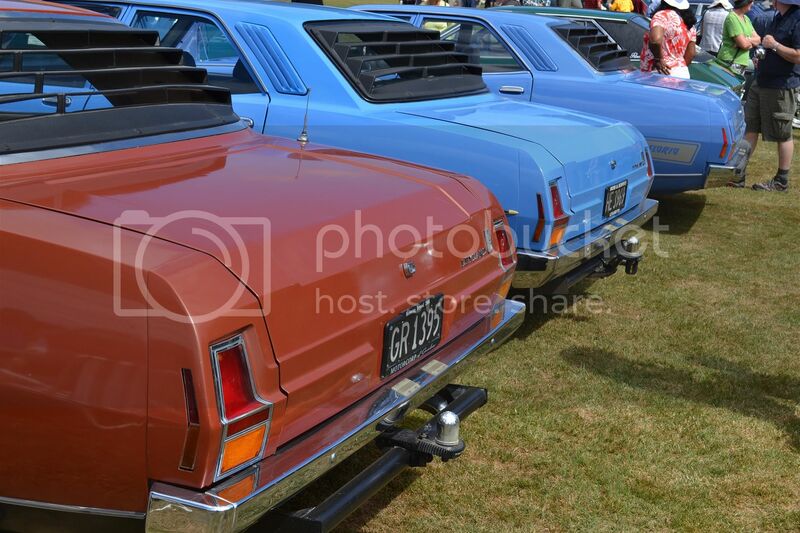 I took a drive to Trentham Park today for the British Vehicle Day, with the theme this year focusing on V8s. 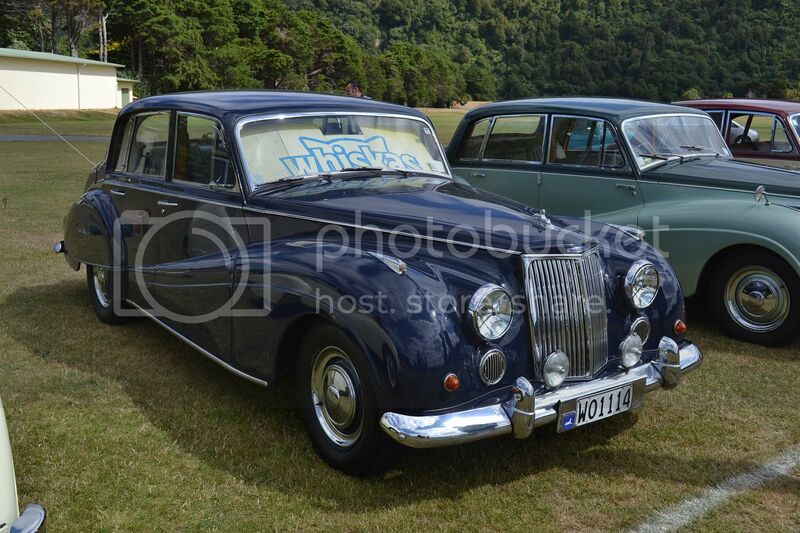 Daimler V8 saloon (that's the Mk2 Jag body) with manual/overdrive transmission. 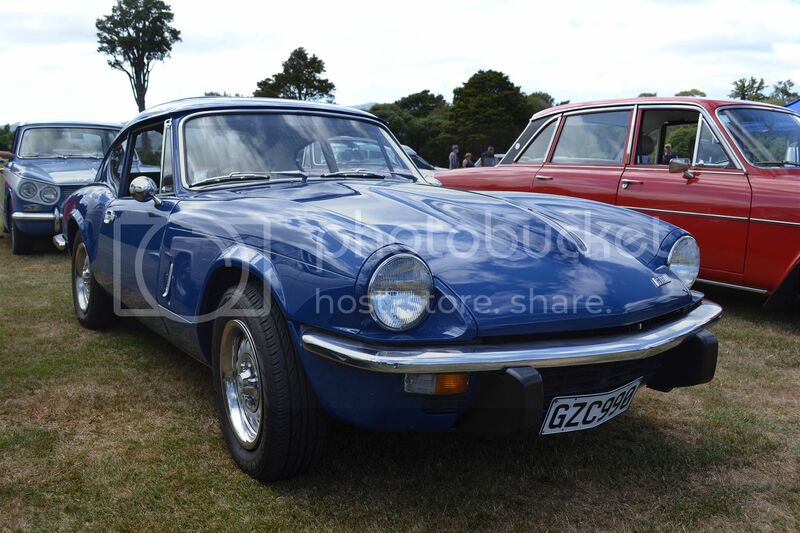 One of Jaguars nicest looking efforts ever. 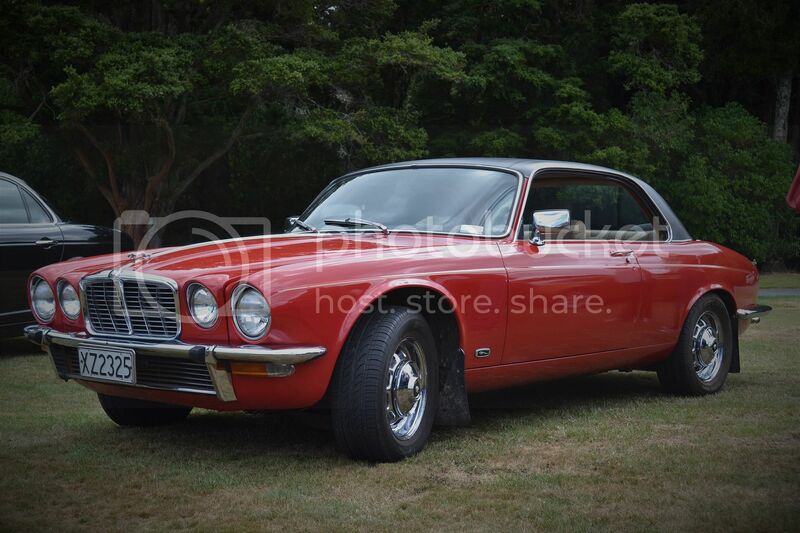 the XJ6 4.2 coupe. Also produced as a V12. This one is a 1977 model. 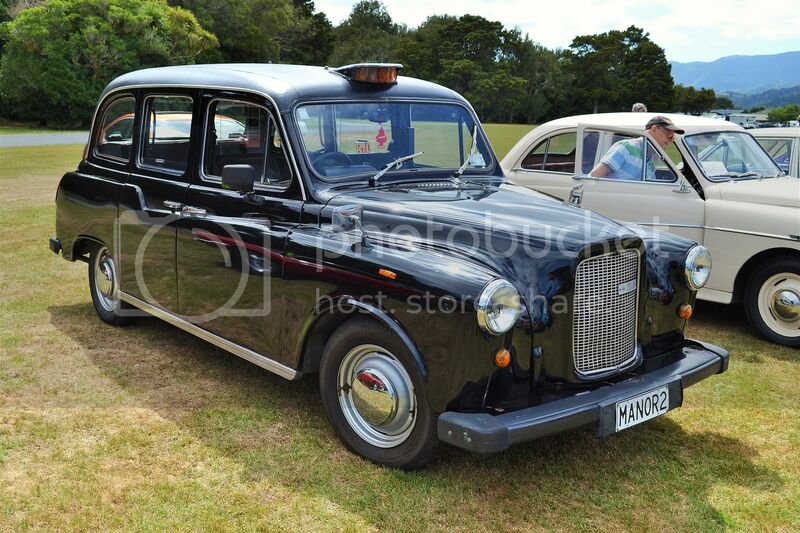 LTI (London Taxis International) FX4S Taxi. 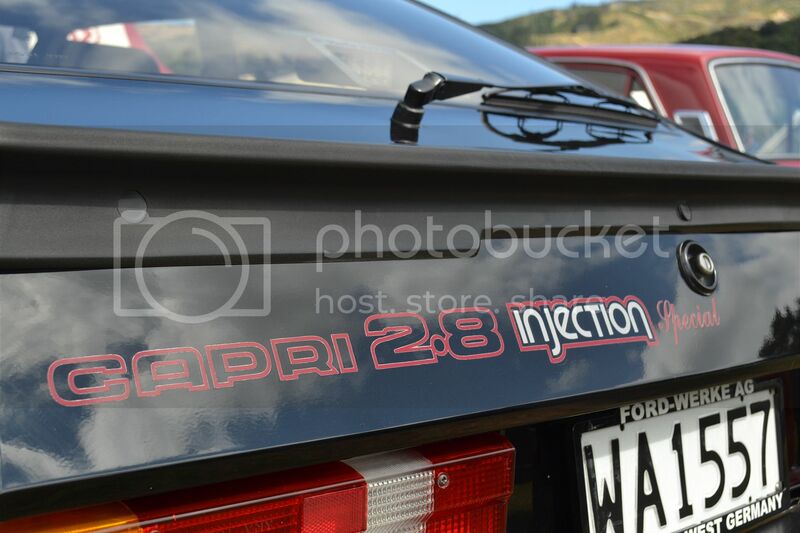 I thought this model used the 2495cc Land Rover diesel engine, but rego details put it as a 2 litre. 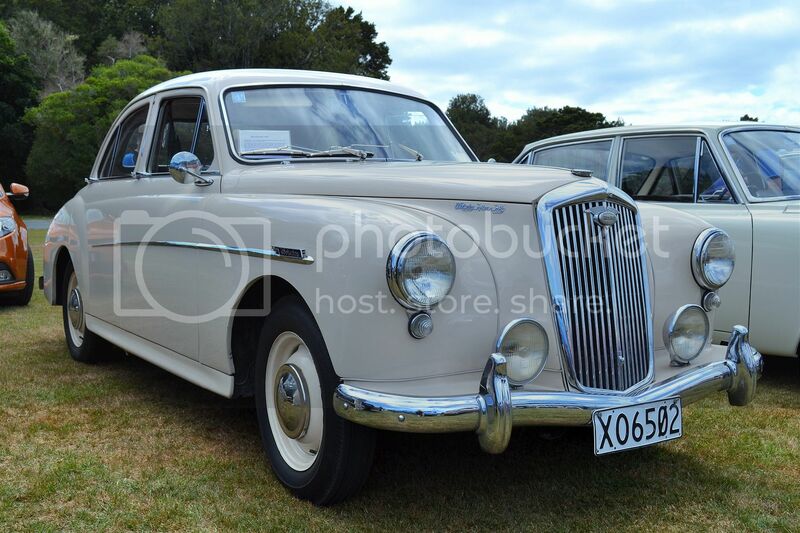 1957 Wolseley 15/50. A very nice example. 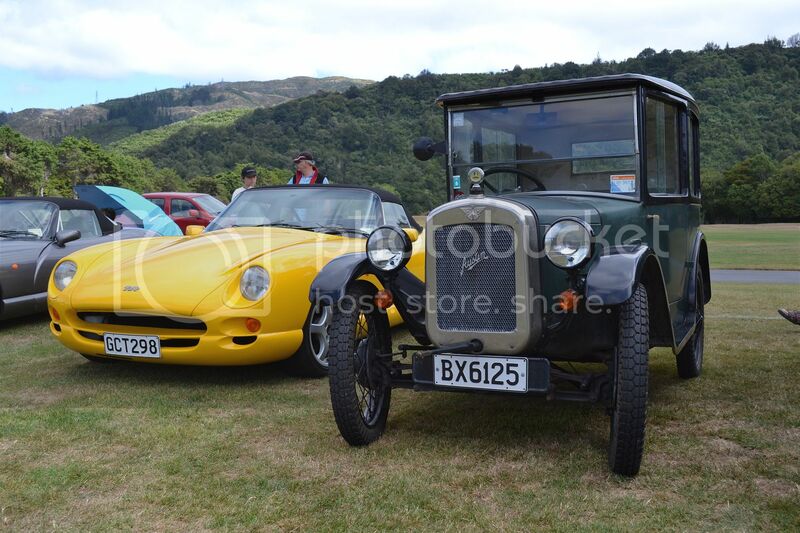 The middle one was originally purchased new by the father of a friend of ours who is now in his mid 80s. 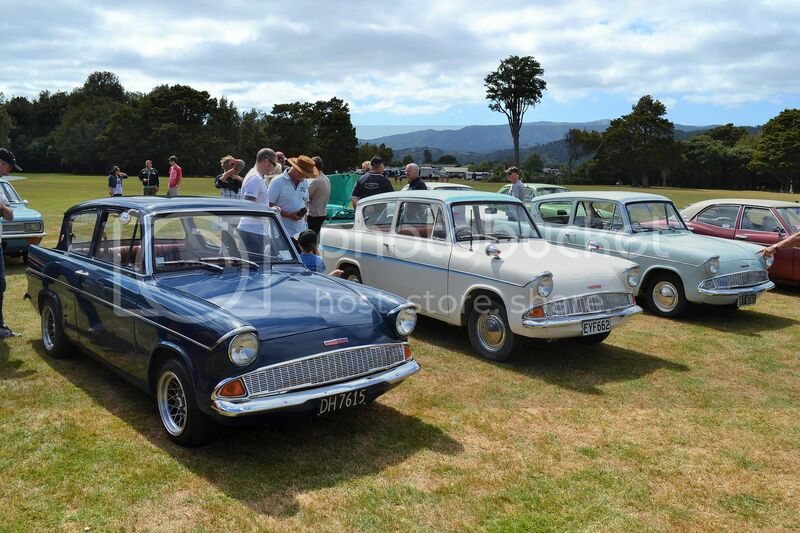 The Ford Anglia was popular with elderly owners and with young men who mostly drove them, considerably modified. Is that a record for the longest model identification badge. 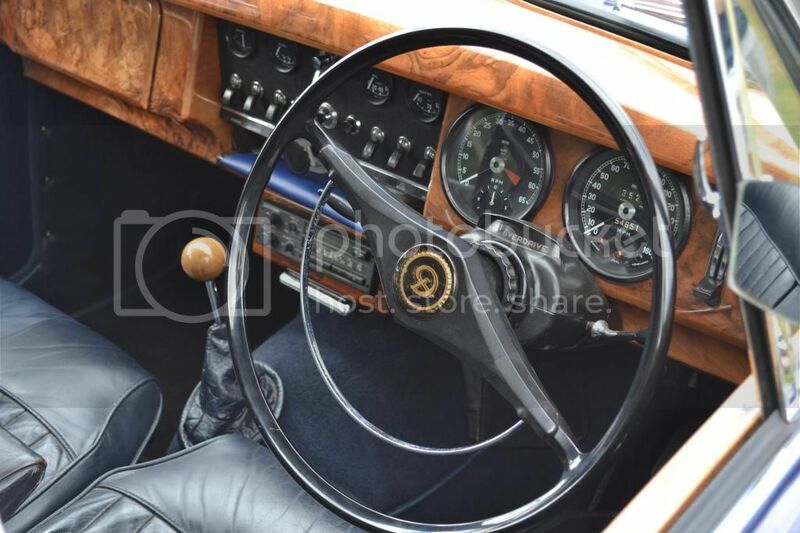 Triumph's GT6, with the 6 cylinder Triumph 2000 motor was developed from the Spitfire, which was in turn developed from the Herald. 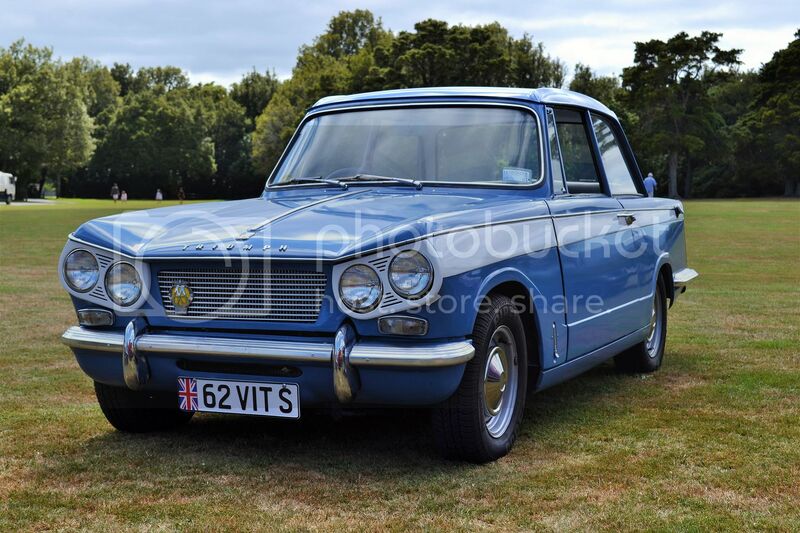 The Vitesse was also developed from the Herald, firstly with a 1600cc 6 cylinder and later with the 2000cc 6 cylinder. 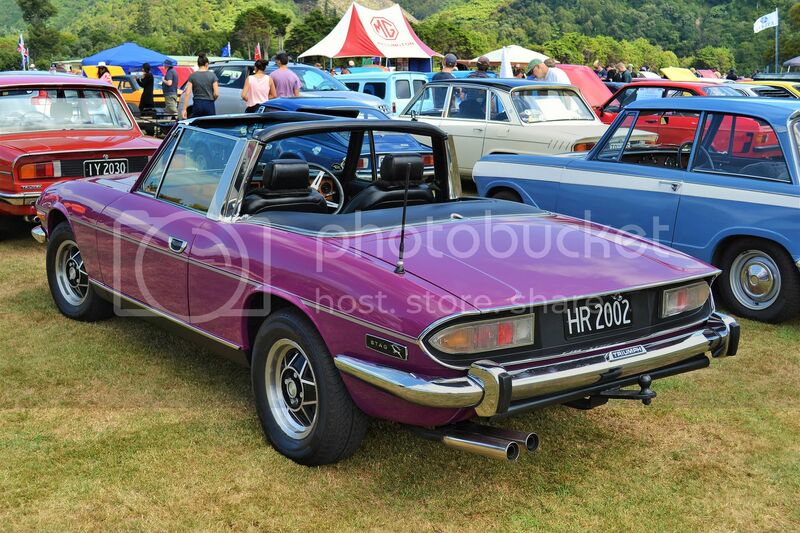 The Michelotti designed Triumph Stag was popular, but proved unreliable, mostly due to rushed assembly in Triumph's factory at that time. 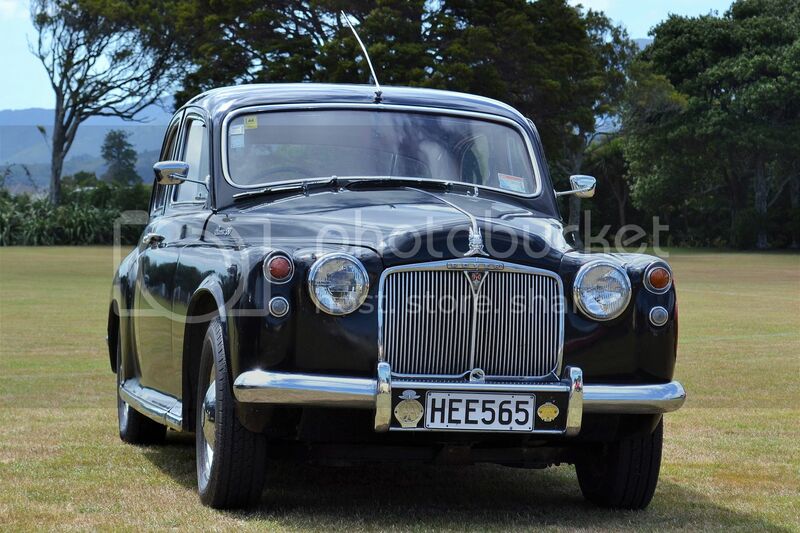 The P4 model Rovers are probably not the easiest classic to maintain, but certainly exquisite to drive. 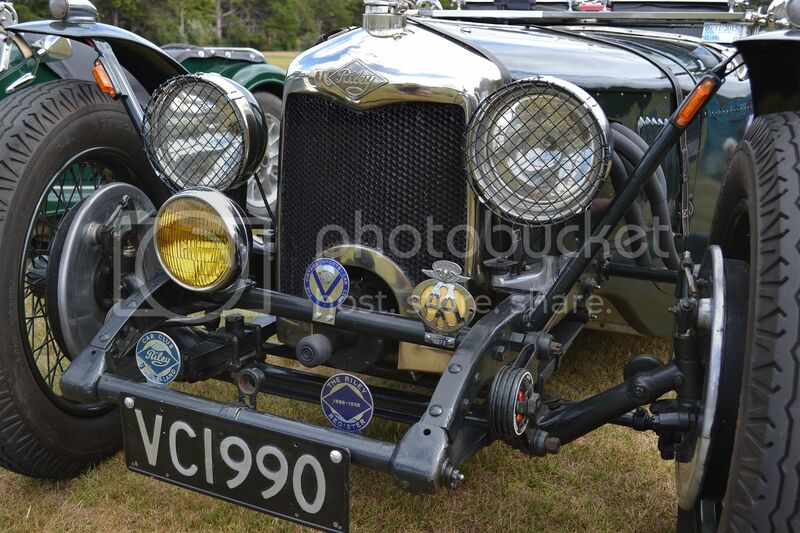 This Riley shows off its large diameter front brakes, friction front dampers and crank handle attachment. 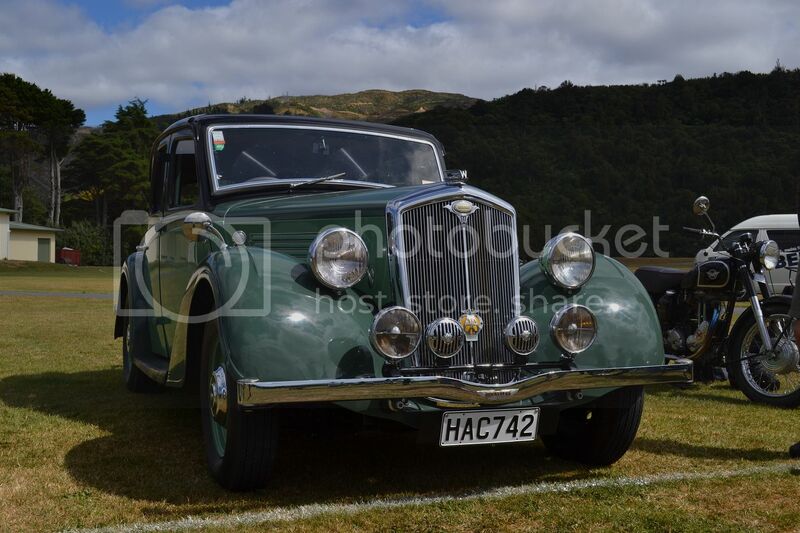 A very smart example of a 1959 Armstrong Siddeley Star Sapphire. Not a model I've seen often.